What would you do if you only had one dollar a day to live on? If you didn’t know where your next paycheque was coming from? If you had to choose between sending your children to school or feeding them? For many of us, this seems like an impossible notion, but for 1.1 billion people around the world, living on ONE dollar is a daily reality. I just watched the documentary Living on One Dollar, where four American friends head to a rural village in Guatemala for two months to experience what it’s like to live on one dollar a day. Each morning, they would draw a number from 0-9 out of a hat. This number represented how much money they had to spend that day. Somedays, it was 0, other days they were lucky and could buy bananas along with their rice and beans. They took out a loan for $125, which had to be paid back bi-weekly in increments of $6.50 or so. With this, they rented a one room house where they slept on the concrete floor. They also planted radishes so they’d have some income once their crop grew. During this time, they interviewed some of the 300 locals living in Pena Blanca, Guatemala. Their stories are both inspiring and heartbreaking, but regardless of how little they have, they are all willing to open up their homes and lives to their neighbours and these four Americans. I’ve traveled to places very similar to Pena Blanca where extreme poverty surrounds you and I’ve always been incredibly touched by the generosity I’ve been shown by complete strangers, who have invited me in for a meal, even though they really couldn’t afford it. Over the years, I’ve often found myself broke and struggling to pay rent and buy groceries, but I always know I have another paycheque coming or I have family, friends and options available to me when I get really stuck. Those times are stressful enough and I only have to take care of myself. I can’t even begin to imagine what it would be like to have a family to support, be making a dollar a day and not even knowing when my next day of work will be. Listening to these guys talk about their experience and watching the interviews they did with the locals really puts things back in perspective. We don’t realize the daily things we take for granted – education, clean water, food in our belly and a roof over our head. These are things we just expect to have. But watching this documentary reminded me it could just as easily have been me in that situation and still could be. One day, it would be nice to have an unlimited budget to travel with, to not have to worry about counting dollars, pounds, euros, shillings and so on. Unfortunately, I’m not there yet. 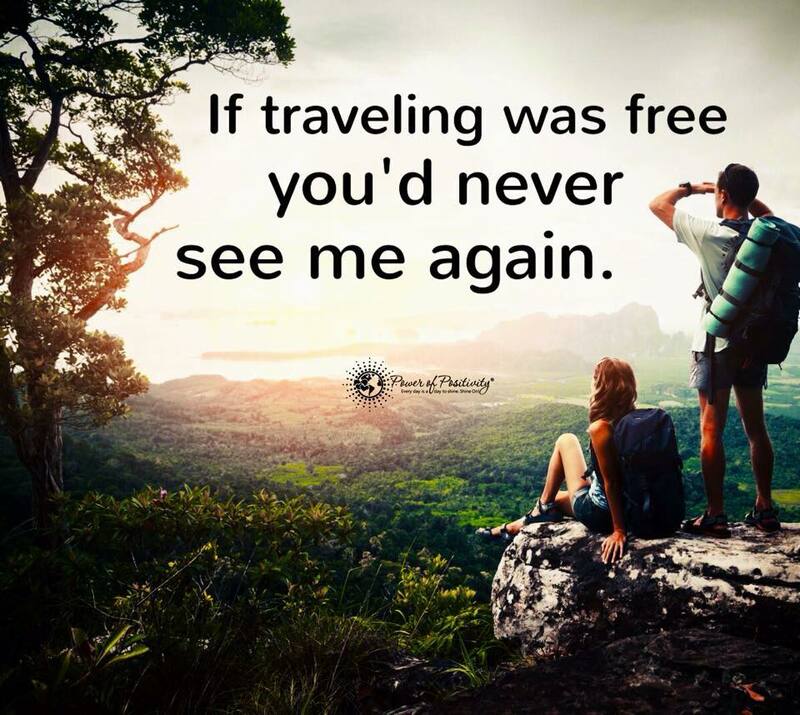 More than once in my life (four times to be exact) I have decided to buy a plane ticket instead of paying rent and come home from a wonderful adventure homeless, seeking temporary refuge on a friend’s couch, in my car or at my parents’ house. This time, however, I opted to attempt to keep my apartment. I found myself in Prague for four days with approximately $50 to spend after paying for my hostel. So after having a great (and cheap) time exploring the city, here’s my (practically) FREE guide to Prague! While the city has a good Metro system that’s reasonably cheap, there’s really not much need to use it (with the exception of arriving with your luggage) as almost all of the main sights are an easy walking distance from each other. Plus, you get your exercise and have the opportunity to find hidden gems along the way! New Europe Tours offers a free walking tour leaving from the Starbucks across from the Astronomical clock at 10:45 a.m. and 2 p.m. daily. This company offers tours in several cities across Europe and the guides work on a tip basis. So if you like the tour and learn about the city you are currently in (which I can almost guarantee you will as all the guides I’ve had have been both funny and informative) then you tip them what you feel it was worth at the end of the three-hour tour. While on the road, eating out becomes a daily expense. While traditional pubs and restaurants are great to experience the local cuisine for a meal or two, the cost of eating out can add up quickly, especially if you’re in one of the touristy areas. Supermarkets are another great way to try local foods for a fraction of the price. Grabbing a fresh bun, some deli meat, fruit and a drink can cost as little as a dollar, depending on where you are. Then you have the freedom of finding a nice green park or your favourite spot from the day to have a picnic! Prague is a great city to wander around and many of the city’s must-see sights are free. Stroll along the Charles Bridge, making sure to stop and check out the many statues along the way. Wander through the Castle grounds – you can’t go in the buildings without paying an entrance fee, but just walking through the courtyards and around the perimeter give you a great sense of the buildings. The gardens outside are also a perfect place to stop for a supermarket picnic! Old Town square hosts the Astronomical clock, Old Town Hall, Tyn Church, the statue of Jan Hus, Kinský Palace, Stone Bell House and more. After a long day of discovering Prague on foot, Old Town Square is a great place to indulge in a street beer for a couple Czech Koruna and watch the sunset as horse-drawn carriages roll by. Prague has some beautiful hotels, but is also home to a number of hostels with beds as low as $7 a night. These may not be the fanciest places in town, but if you’re coming to beautiful Prague to sit in a hotel room, you are really missing out! Best of all, the memories and photos you’ll take with you when you leave are FREE. So get out there and explore fairytale Prague, without worrying about overstepping your budget! Sometimes being a tourist in your own city can be a great mini-escape. This is definitely true for me each spring when the Japanese Cherry Blossoms bloom in High Park. While you will be sharing the beauty with thousands of others, it’s definitely worth the trip. These beautiful blossoms only last for about a week, so pack a picnic or bring your favourite book and a camera and head to Toronto’s High Park! To get to High Park, take the Bloor-Danforth subway line (Line 2) to High Park station, exit, walk across Bloor Street and into the park.